Overview: Meet Wonder Woman – beautiful as Aphrodite, wise as Athena, as strong as Hercules, and as swift as Hermes. Sent to “Man’s World”, the Amazon princess disguises herself as Lt. Diana Prince of Military Intelligence, where she often finds out about global menaces needing her help. Add in Col. Steve Trevor, who is oblivious of Diana Prince’s dual identity. He proposes to Wonder Woman every chance he gets, only to be rejected every time. Wonder Woman cannot give her heart to one man while there is still a need for her services. The stories in this volume are one-and-done stories, with little to no continuity between issues. She fights aliens from space; giant undersea creatures; and robot duplicates of herself. Some stories focus on Diana’s adventures when she was a child, conveniently known as Wonder Girl back then. Later stories will add in Wonder Tot as well, creating all kinds of headaches when Bob Haney decides to add Wonder Girl to the Teen Titans – see Showcase Presents Teen Titans Vol. 1 for the issues with Wonder Girl. Why should these stories be Showcased? : Along with Superman and Batman, Wonder Woman completes the DC Comics “Trinity” of characters. These are legacy characters that have been around since the birth of comic books. So, as a legacy character, the adventures of Wonder Woman deserve to be showcased. However, like other books from DC Comics in this era, the stories do not hold up well. The creators associated with this book are all comic legends in their own right, but this collection is not their best work. Get this book if you are a die-hard Wonder Woman fan only. 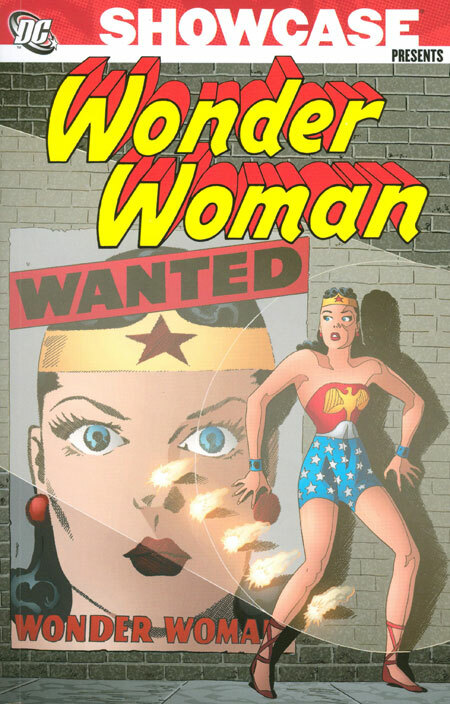 If you like this volume, try: the George Pérez relaunch of Wonder Woman in 1987. Following the events in Crisis on Infinite Earths, the DC Universe was collapsed into one universe with a new history. After working on Wonder Girl for so many years in the pages of New Teen Titans, Pérez stepped up to provide the new definitive origin to Wonder Woman and the Amazons. Sent as an ambassador from Themyscira, Diana brings a message of peace to a violent world. One could make the suggestion that everything that came in the Golden Age and Silver Age should be forgotten, as this is the perfect starting point for anyone interested in Wonder Woman. The first two years of this relaunch have been collected in trade paperbacks between 2004 and 2006, so they might still be available to track down. Pingback: Throwback Thursday – Showcase Presents Wonder Woman Vol. 1 – WORST. COMIC. PODCAST. EVER!